Zenit JV - Edoras P.R.E. 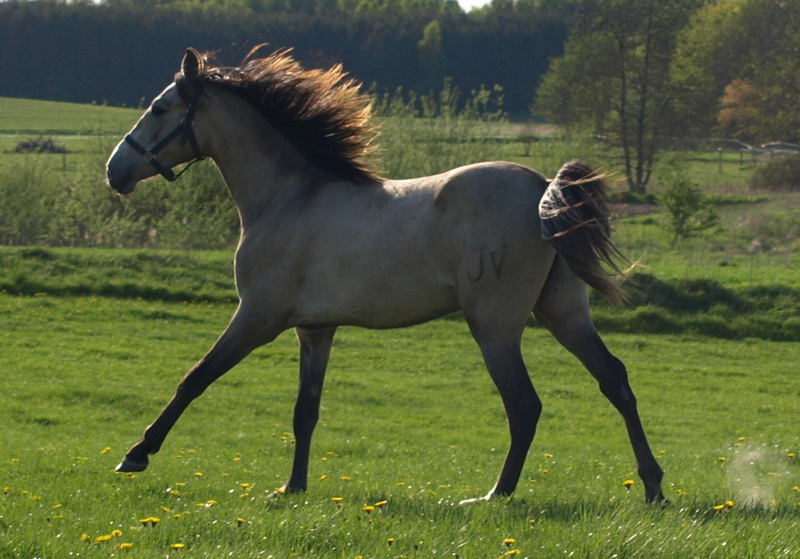 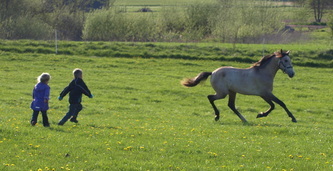 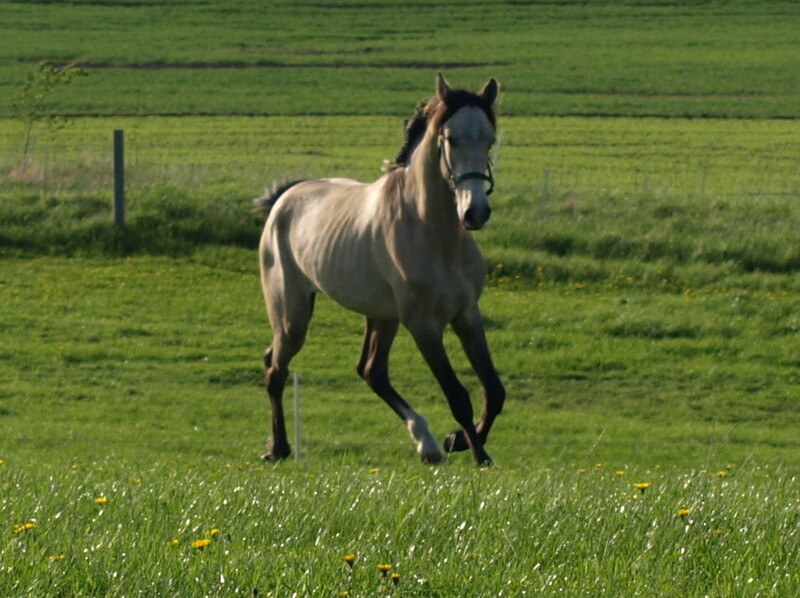 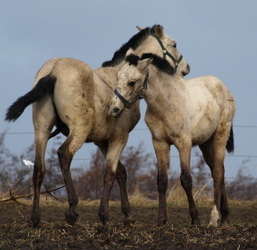 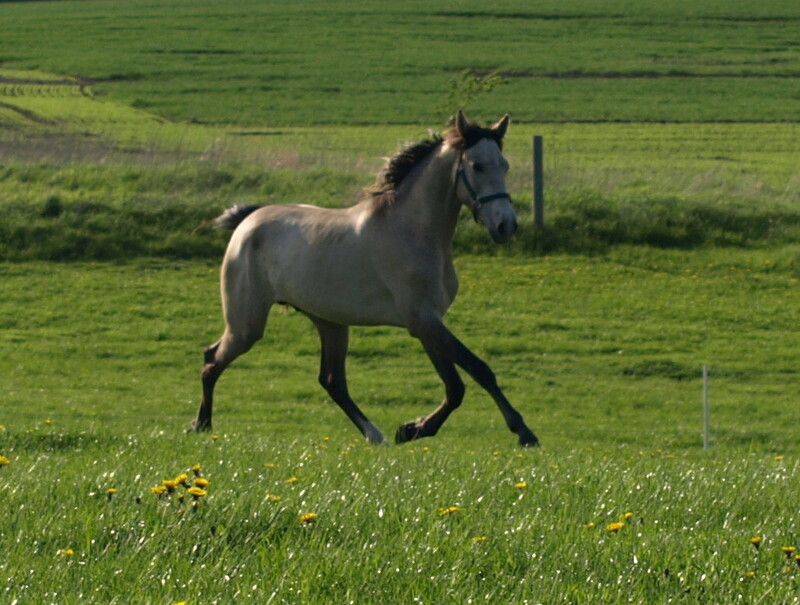 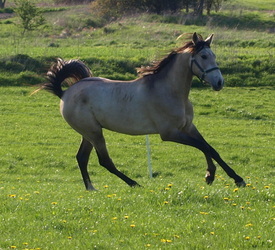 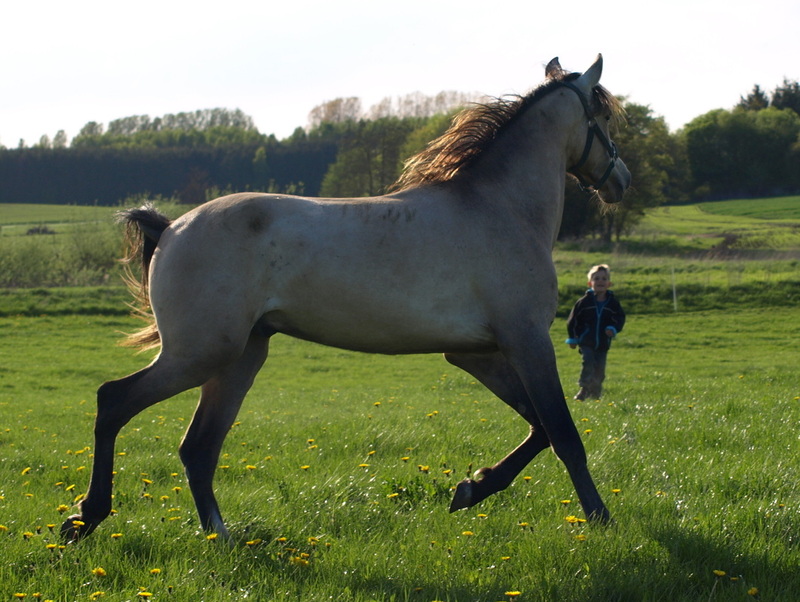 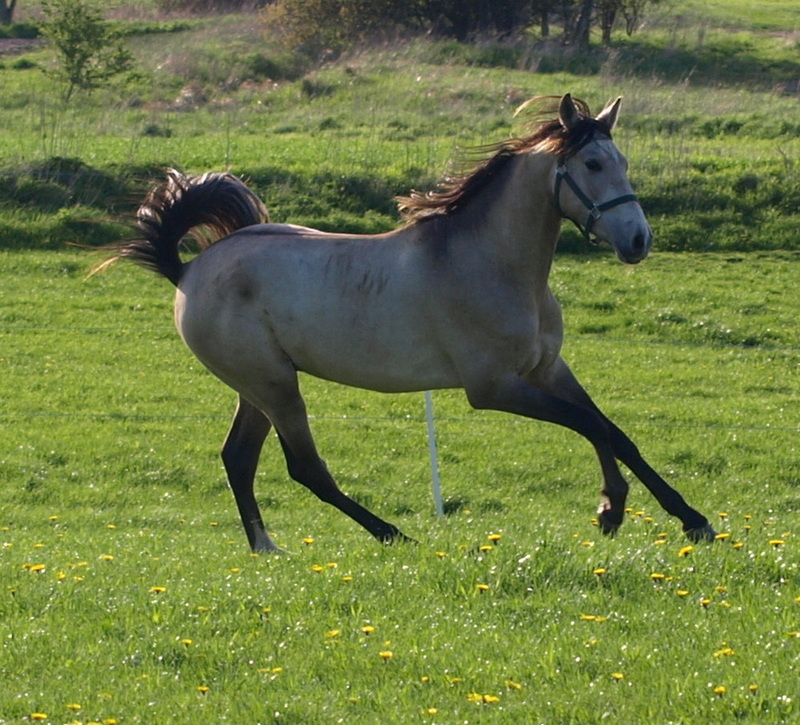 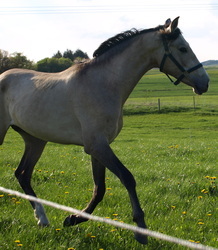 Zenits coat colour is grey buckskin with light degree of black/dark hairs on the body. 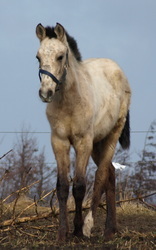 His genotyp is Gg AA Ee CCr which means his basic colour is bay (AA) and he carries the gene for chestnut (Ee). 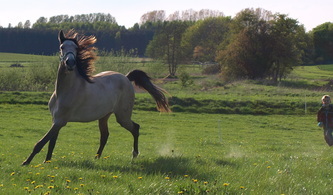 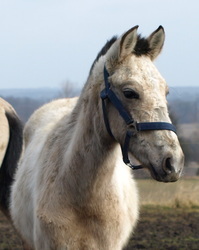 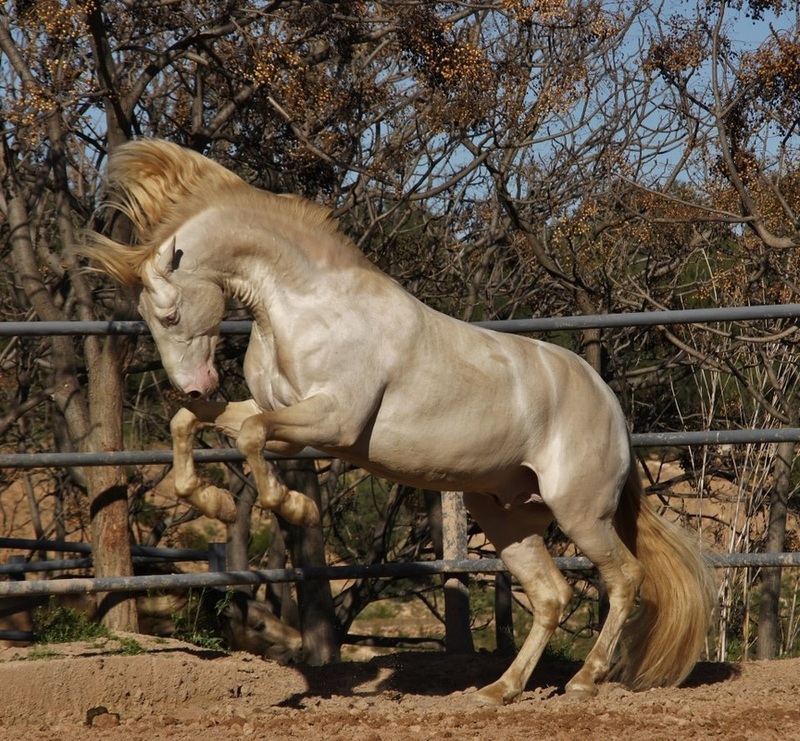 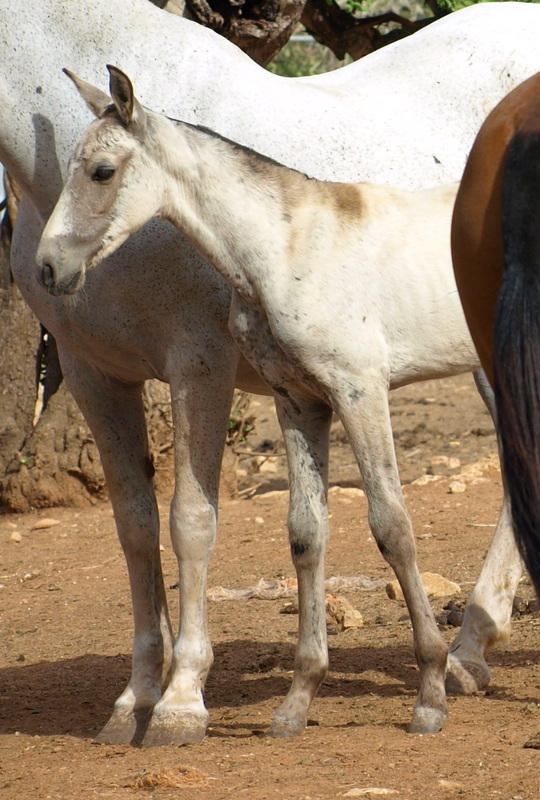 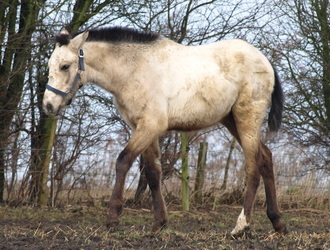 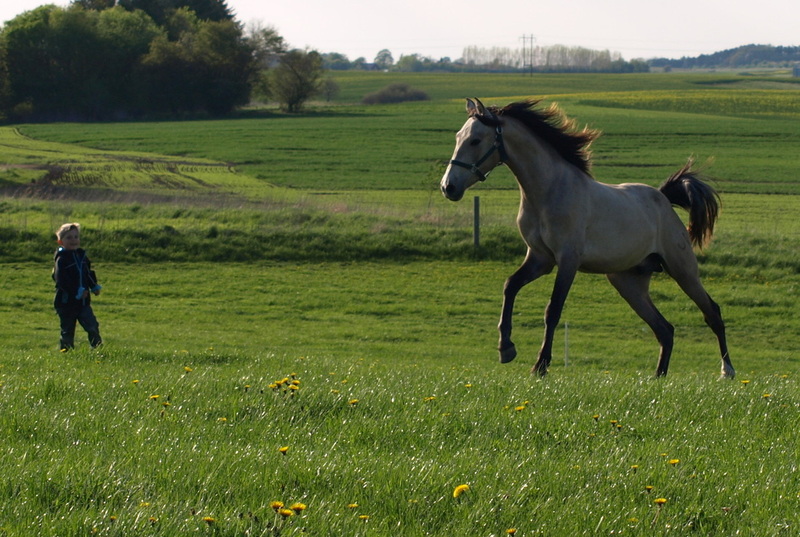 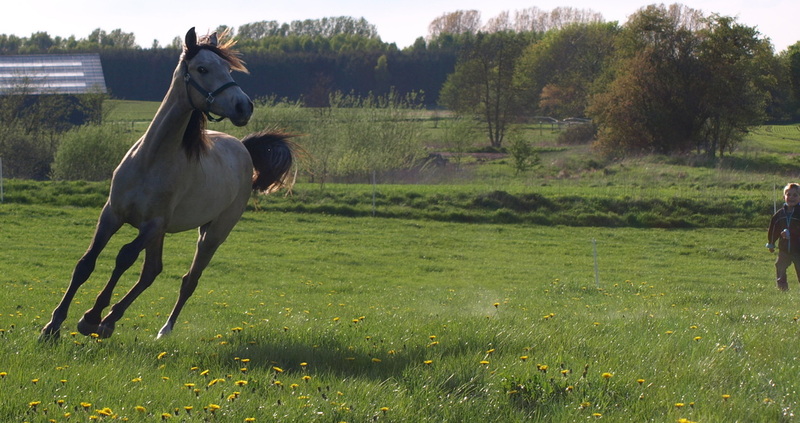 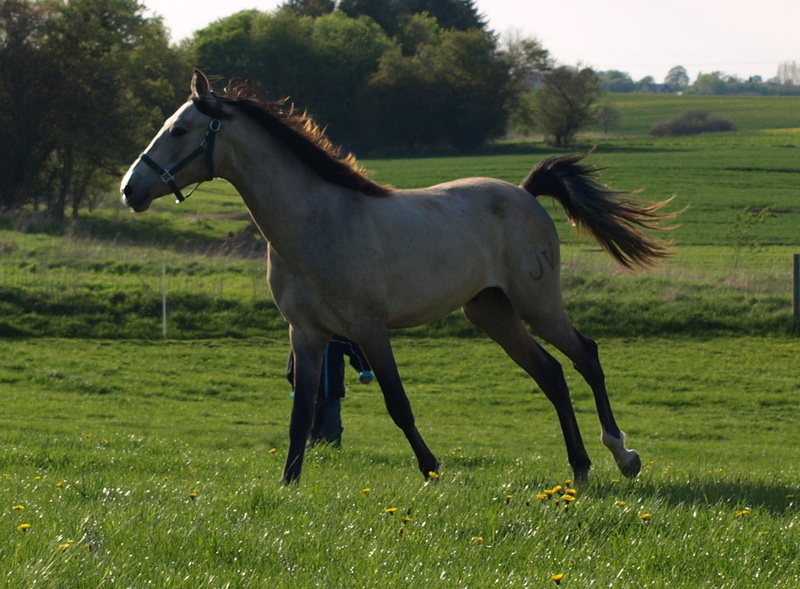 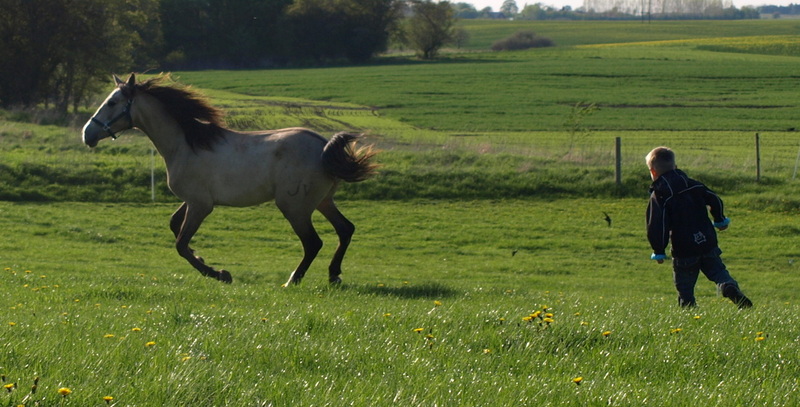 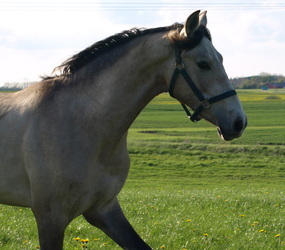 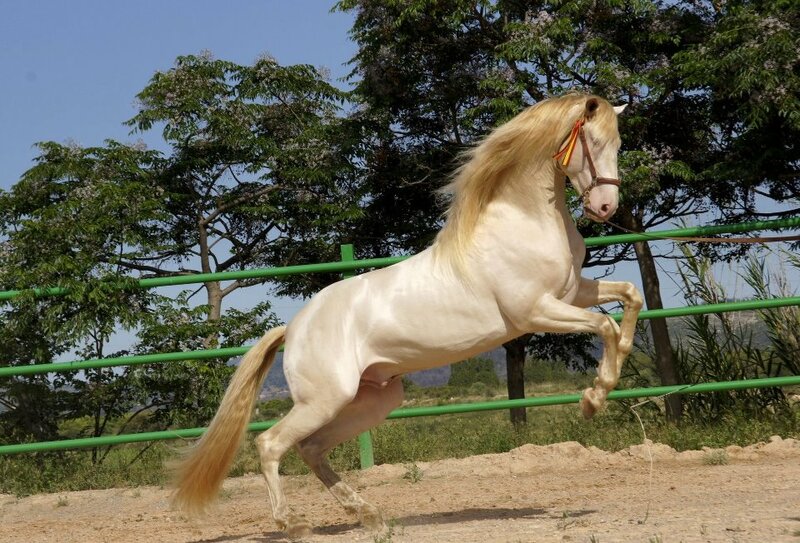 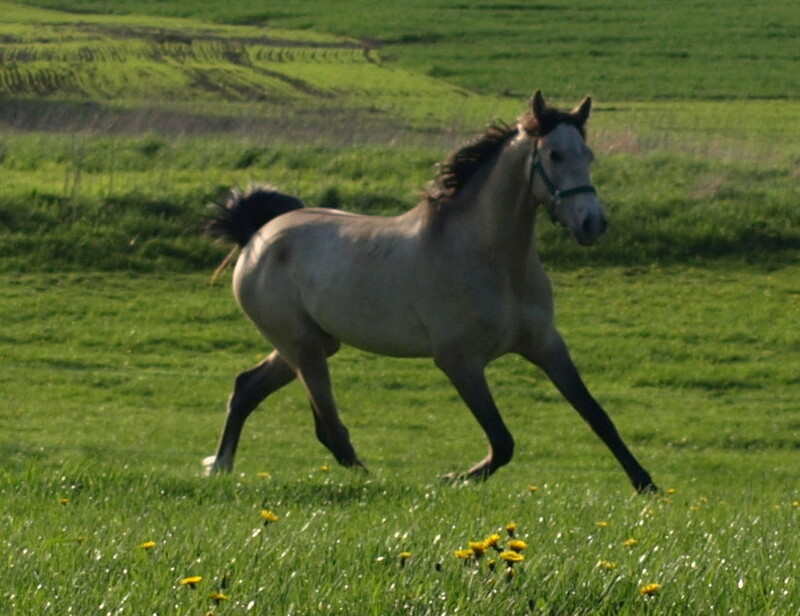 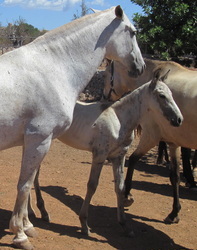 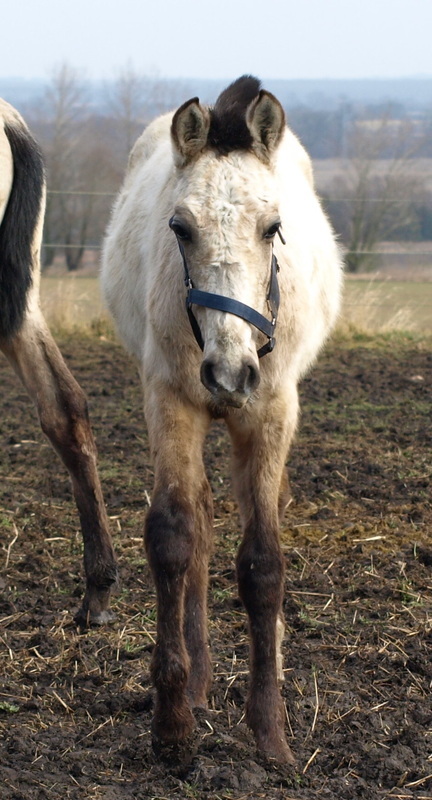 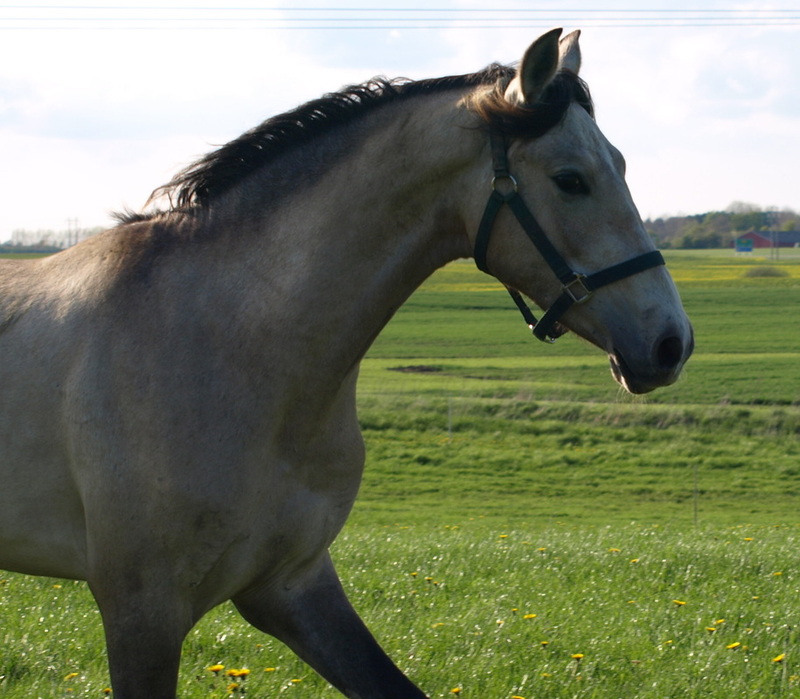 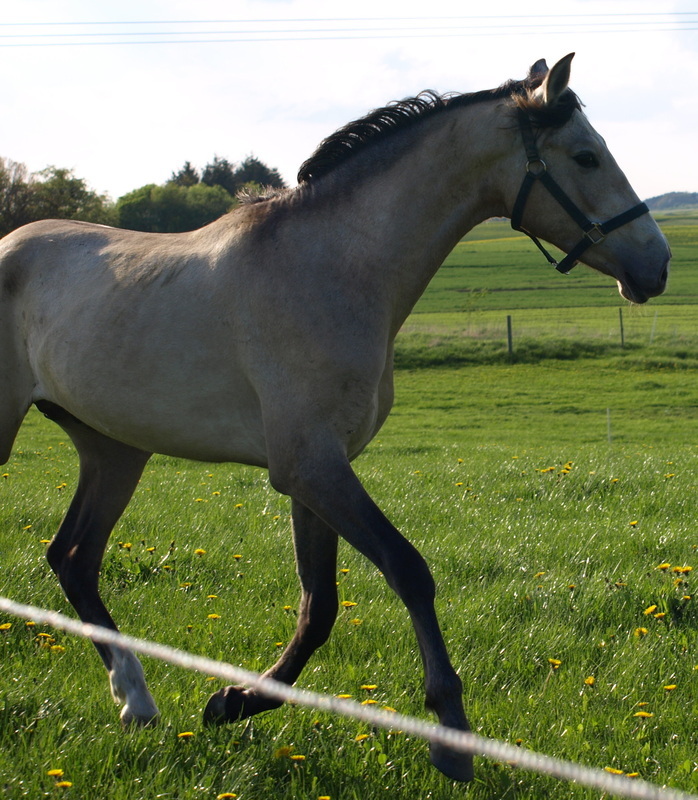 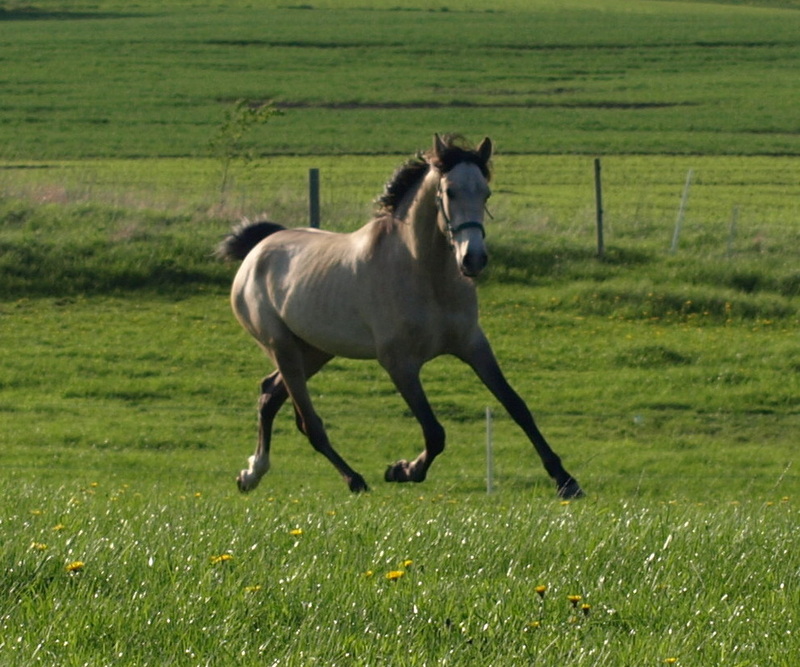 He is heterocygot for the creme gene (CCr) and there for diluted to buckskin (bayo), but he also has one grey gene (Gg) and will become white/grey. 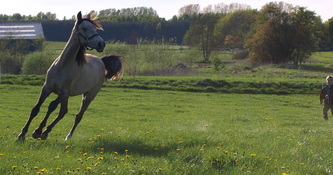 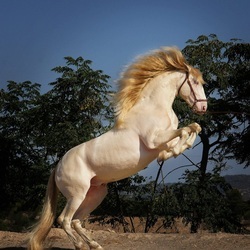 He can give his offsprins following coat colours: Buckskin, palomino, bay and chestnut, and there will be 50% chance thar he will transmit the grey gene. 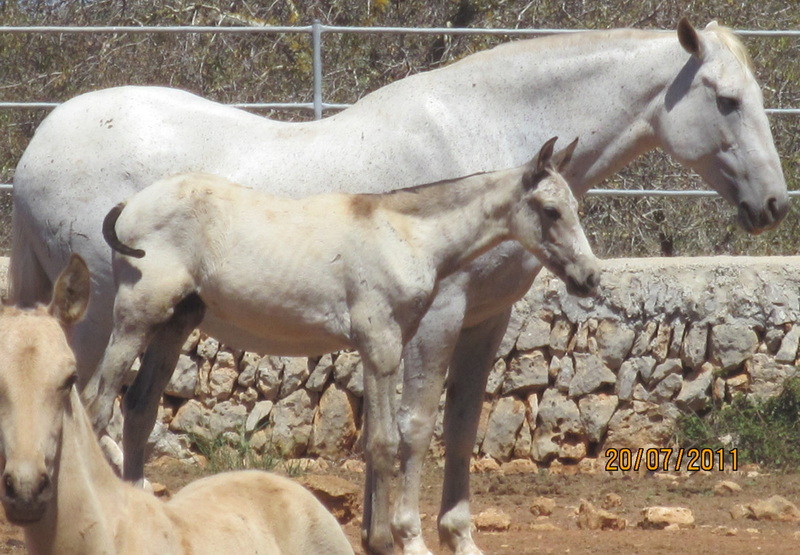 Mother: Gelida III. Pedegree: Visconde/Militar, Urquijo og Lovera. 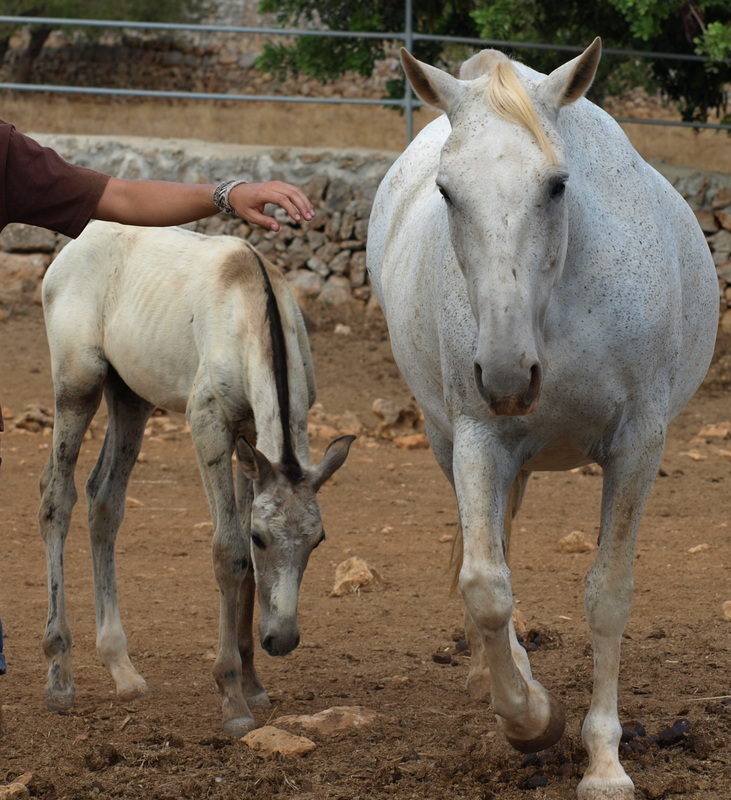 Father: Divo PM of the studfarm of Paco Marti. 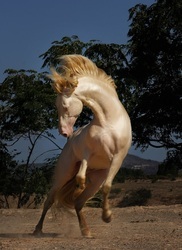 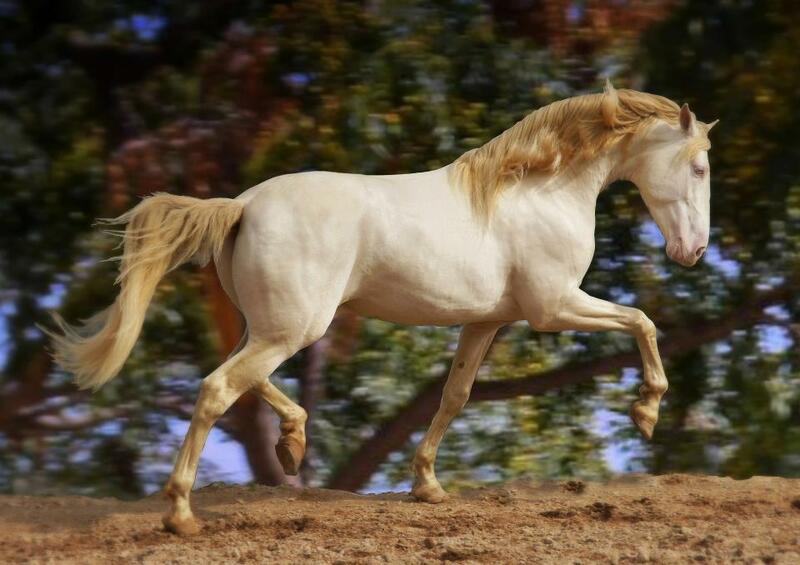 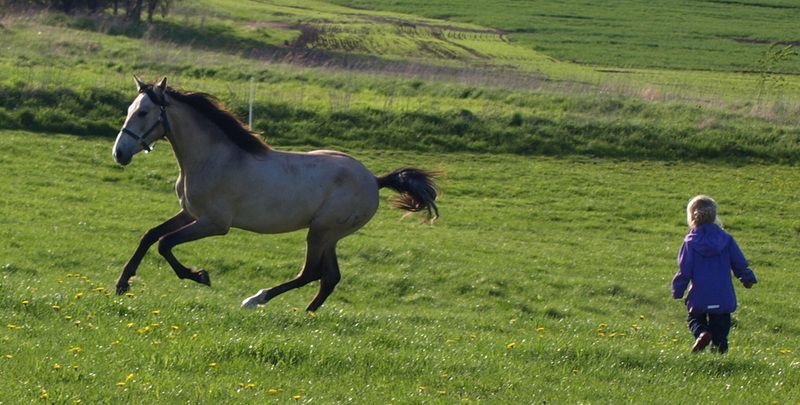 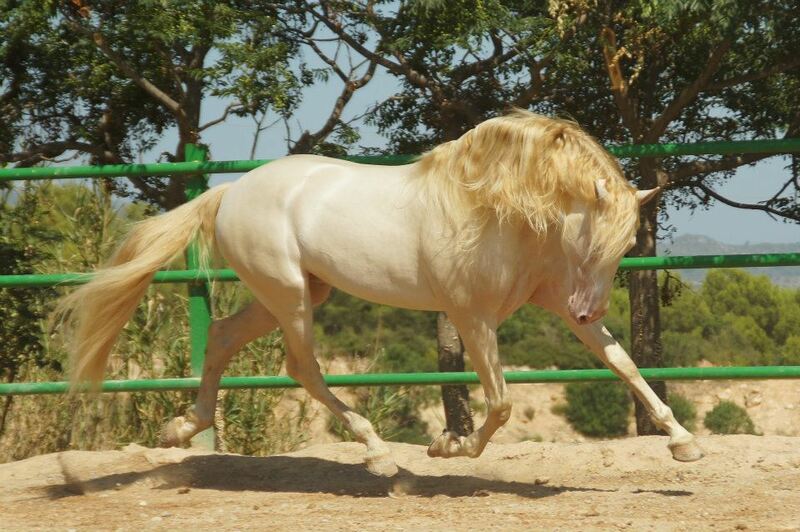 This stallion is said to be the new double diluted top-stallion from Paco Marti. 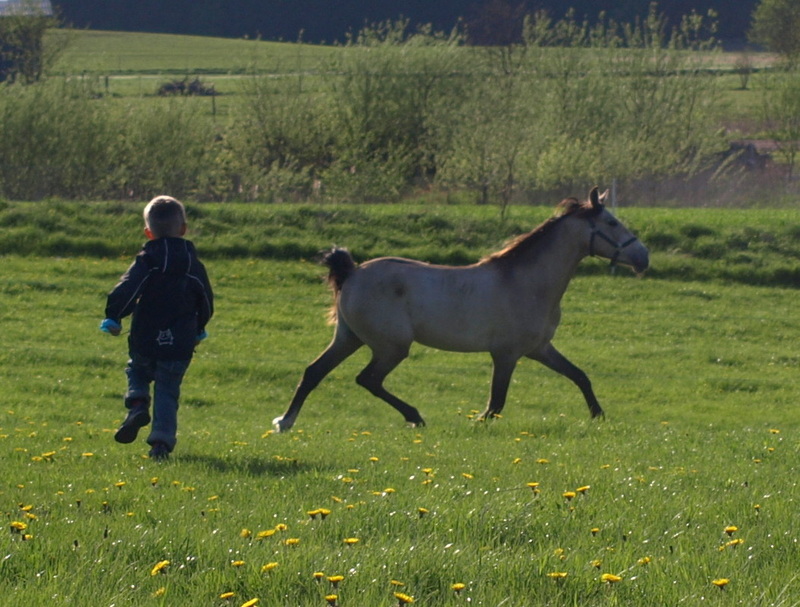 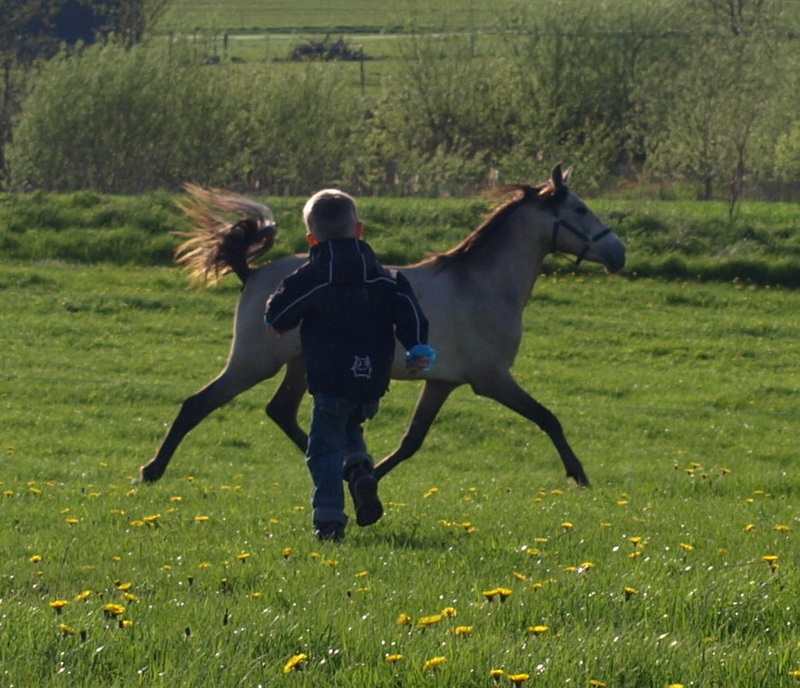 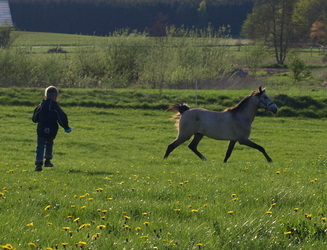 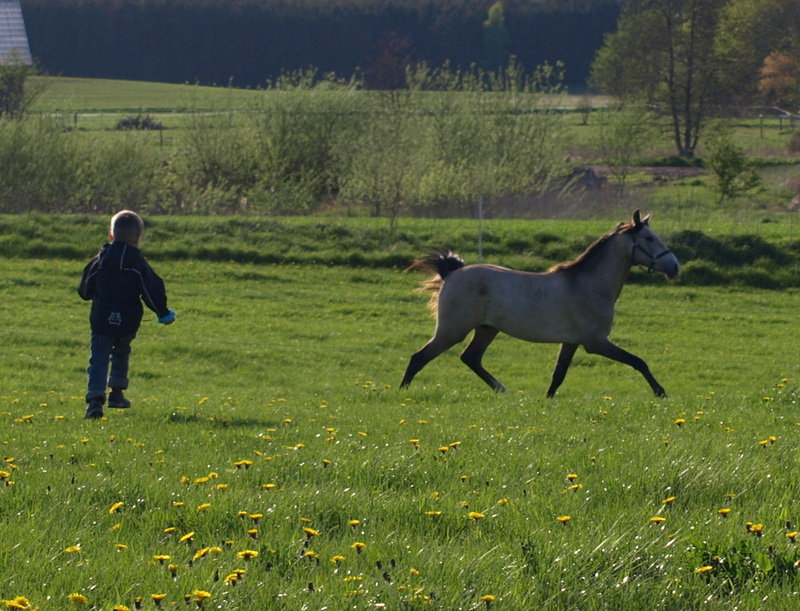 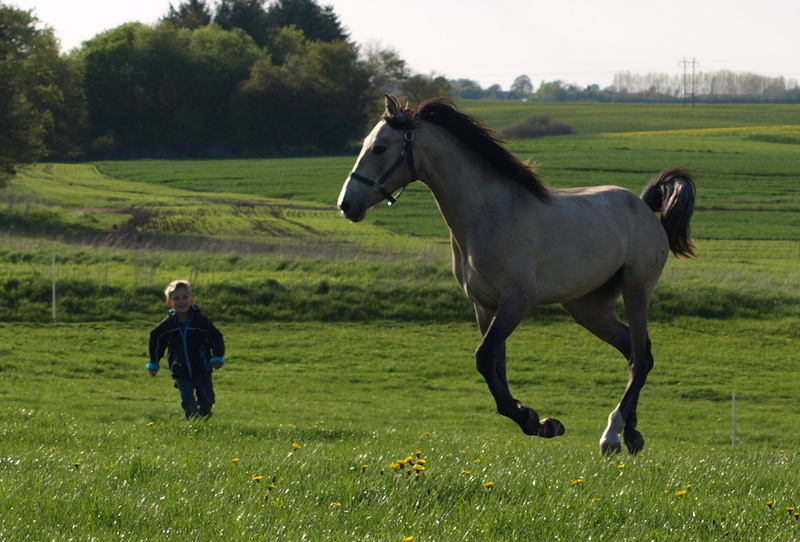 Until now his offspring are very promising with fine confirmation and very good movements. 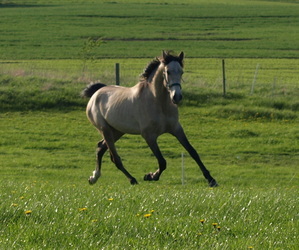 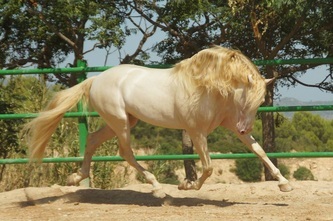 Divo is the tallest double diluted PRE-stallion approved for breeding.